Manchester United defender Chris Smalling is set to hold talks with the club to clarify his future at Old Trafford this summer. Smalling has been in recent transfer speculation, with reports stating that he might leave the club. According to Daily Mail, the 27-year-old England defender has no plans to leave, but wants to be sure that he will be given enough first-team football ahead of the FIFA 2018 World Cup in Russia next summer. Smalling will be getting a lot of competition this term for a place in the side, but he expects to be a part of Jose’s plans. United have completed £31m signing of Victor Lindelof from Benfica, and his arrival is said to have pushed Smalling down the pecking order, with the Swede and Eric Bailly set to be Jose Mourinho’s first-choice partnership in central defence. Also, the options of Daley Blind, Phil Jones and the recently injured Marcos Rojo could provide enough challenge for a position in the side. 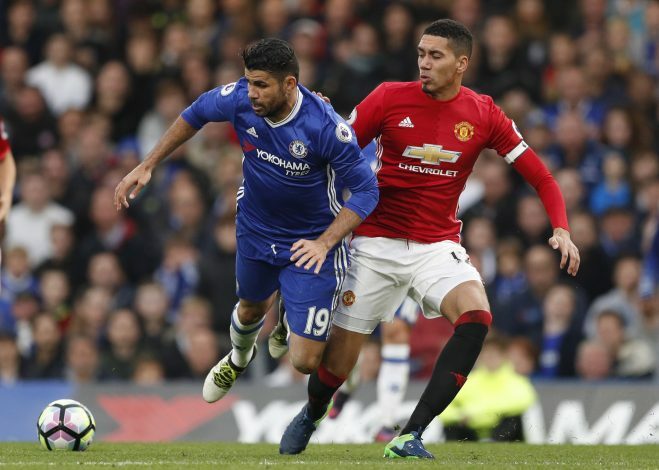 Smalling is wary of the situation, though, and believes he could play an important role under Mourinho in another busy season ahead. The United boss was openly critical of Smalling on several occasions last season, questioning his mental toughness and desire to return from injury. However, the Englishman ended up playing a vital role towards the latter half of the campaign, and he wants to continue in similar fashion next season. Meanwhile, Premier League clubs such as West Ham and West Brom have both been expressed an interest in signing him, but it’s understood that Smalling would only consider joining another Champions League club if he changed his mind and decided to leave.